Our next featured bird is a pretty special boy. While he doesn’t have any physical trauma, or abuse, he is a very misunderstood parrot who has had a succession of homes due to undesirable behaviors. 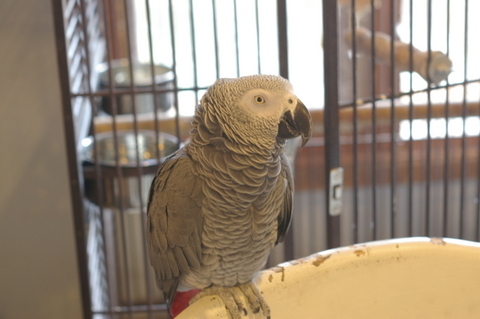 As a fledgling, he was sold to a petstore, he was there a few months and was than purchased by a young couple who always wanted a grey – within a year he was returned due to aggressive behavior, he stayed in the petstore for a short duration until someone fell in love with him and purchased him once again. After a few months, it didn’t work out, he was again returned. After another few months, he was sold – again – and returned 6 months later. His final home saw him there for about 6 months and once again, undesirable behaviors – which included biting and screaming, saw him needing yet another new home, instead of returning him to the petstore, we were contacted for help. This is a tough scenario as there are alot of factors that play into his current situation. Being pulled to soon as a chick, living in a petstore, impulse purchases by consumers and the lack of help/behavior advice to each family who took him into their home/s. When we were initially contacted, it was for behavior modification assistance, unfortunately – the aggression had escalated and the family made the decision that they did not wish to try anything further with him – the bites to the female in the home were a bit to much and we respected their decision. After working with him for many months, which turned into years, it became a bit more clear what he needed in a family, and the search began. 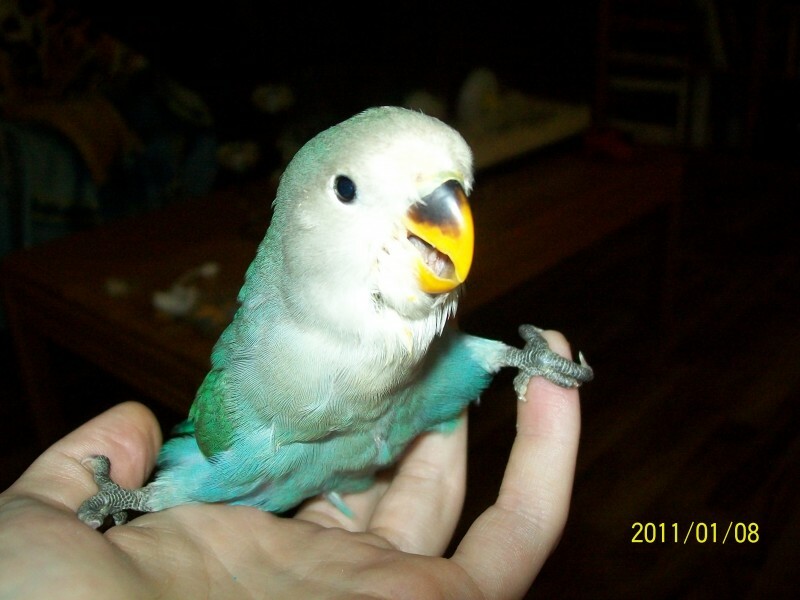 After many interviews with prospective families, we were sure that we had helped him find his perfect match – and unfortunately different behaviors started to appear in his new home – the aggression was less, but he began vocalizing – alot – unfortunately – this caused other issues to the owner and the decision was made to return him to Birdline. This a unique personality, and often times you will not discover personality issues until they are settled into their new environment. A previous owner had commented on the behaviors but we did not see them from this bird, until he went into another similar environment. Phoenix has made it very clear what hes looking for in a family – and this time around I hope we find the perfect match – our experience with his transition/placement has taught us valuable lessons. 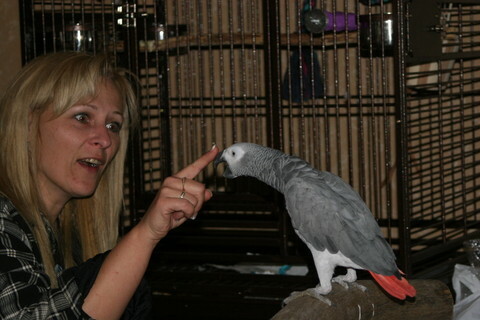 We hope his story encourages you to research before purchasing/adopting any parrot into your family. 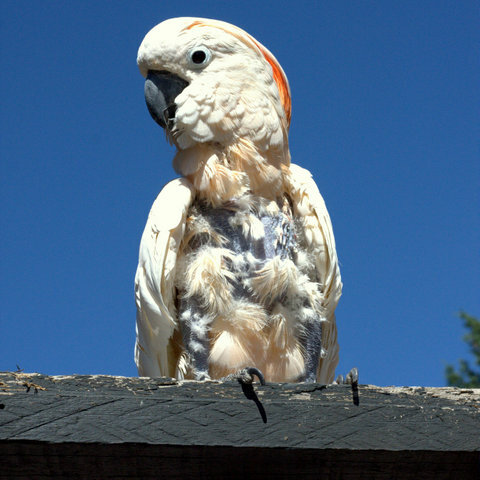 There are NO guarantees that this bird, whether a baby or an adult will be the perfect fit. Phoenix has gone through many homes, his behaviors are unique to “him” not his species. While its true many species share the same qualities – no 2 birds are ever the same. March 15/2014 – Phoenix died tragically in a house fire at Birdline along with 26 other companions. We miss him more than words can say and are forever thankful to have been blessed with him in our lives.